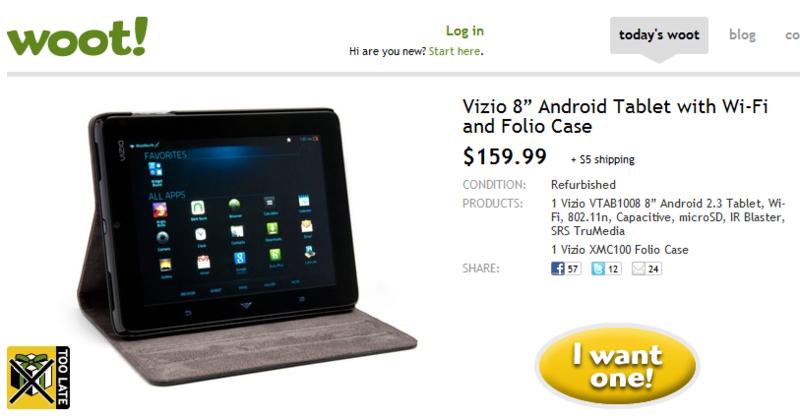 Woot.com has done it again, offering another great deal on an Android-powered piece of mobile tech. 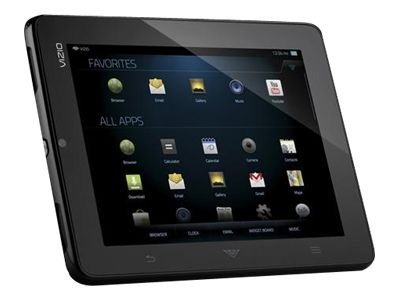 Up for grabs this time is a refurbished 8" VTAB from Vizio. The VTAB is a budget-friendly slate running Android 2.3 Gingerbread (with Vizio's V.I.A. Plus interface). Woot is offering the VTAB, along with a handy folio case, for just $159.99 plus $5 shipping, which is a cool $170 off Vizio's list price. If you're in the market for a basic, budget-friendly Android tablet, head over to Woot.com and take advantage of the deal before time runs out.